Ly Nha Ky is a young and successful entrepreneur as well as a movie actress, an active social activist and philanthropist in community activities. On 18th December 2007, Investment Trading Services Construction LYNK Co. Ltd was established and performing business in fields of real estates, investment, commerce, investment consultant, movie production and media. 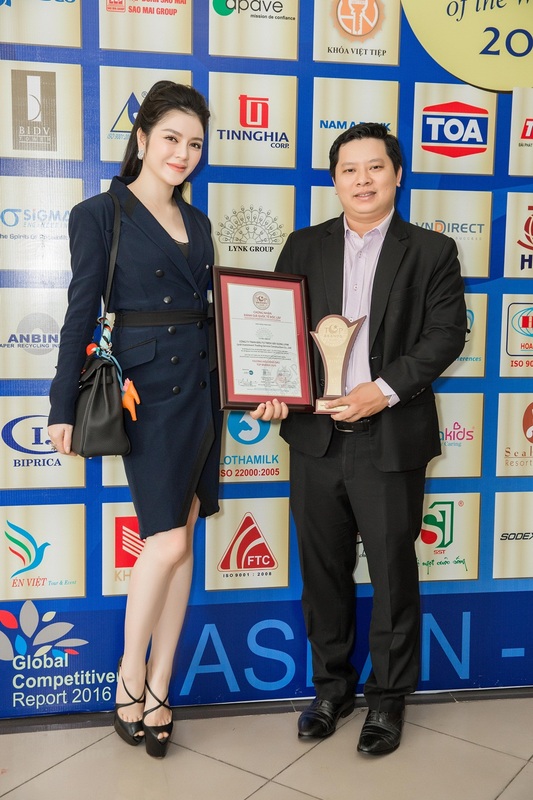 With keen intelligence and management experiences in business, Ly Nha Ky rapidly brought LYNK Company to incessant development and strongly growth into LYNK GROUP running business in fields of: Real Estate & Invesment Consultant, Fine Jewelry & Fashion, Media & Entertainment, Charity & Society. 1) LYNK – Project Investment and Consultant:With depth of experiences and wide and deep relationships at home and international, LYNK GROUP has achieved numbers of success in the field of investment consultant for many cooperative projects of large corporations in Vietnam and in Asia. 2) LYNK – Jewelry: LYNK Jewelry Company is honored to be the pioneer company bringing world top jewelry brand names closer to Vietnam, and being the destination for Vietnamese high-class and for the world. High-rank jewelry brand names being distributed by LYNK Jewelry are: de Grisogono, Paolo Piovan, Crivelli Gioielli, and Staurino. 3) LYNK – High Fashion: LYNK High-fashion Company is a place accumulating many world class fashion labels from Ready-to-wear to with high application clothing to high-grade ones such as: Zuhair Murad, Alexis Mabille, Alberta Ferretti, Georges Hobeika, Marchesa, Peet Dullaert, Toni Maticevski, Pankaj & Nidhi, Roksanda Ilincic, Rupert Sanderson, Elcom Fur, Pollini, Hardy Amies, Saison trousers, Capri shirts, Mark Giusti, Bonastre, Savas, Thale Blanc, Celine Robert, Guy de Jean, Piera… Those labels all around the world being distributed by LYNK High-fashion are always favored ultimately in years by politicians, First Ladies, international Royals and world celebrities. 4) LYNK – International Media & Entertainment: LYNK International Media & Entertainment Company performs in area of investing and developing public relation and event organization. LYNK Show being held every year with attendance of world class fashion designers that affirms LYNK’s position and trade name when receives high credits and judgments from the media and public as a professional and international-standard event. 5) Charity – Society: LYNK GROUP builds up Vietnam Health Education Development Fund (VN HEDF) with high hope of contributing to developing education mission, health and community. 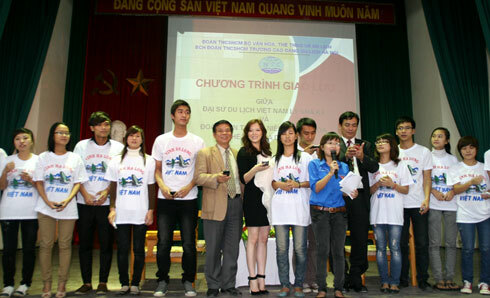 Since 2011, VN HEDF has many considerably acknowledged charity activities. For example: contribution to building of new rural area, eye operation for cataract patients, and construction of school and charity houses… VN HEDF has clear future goal that not only focuses in domestical charity but also aims to international activities in poor countries. In November 2016, Ly Nha Ky’s LYNK Group finally gained the honor to be awarded with the title of Top Brands and Quality management – Qmix 100, which was published by the prestigious Economic Research Institute and Global Trade Alliance Forum GTA. Ly Nha Ky was very proud of this greatly honorable milestone achieved after more than 10 years building her entrepreneurship. Not only being successful in running business, she is also a very active activist in characteristic of community. She has gained high trust from government leaders and the people to entrust with many positions in society. Recently, Ly Nha Ky was elected to become the Vice President of Motor & Bike Federation of Vietnam in charge of public relation. 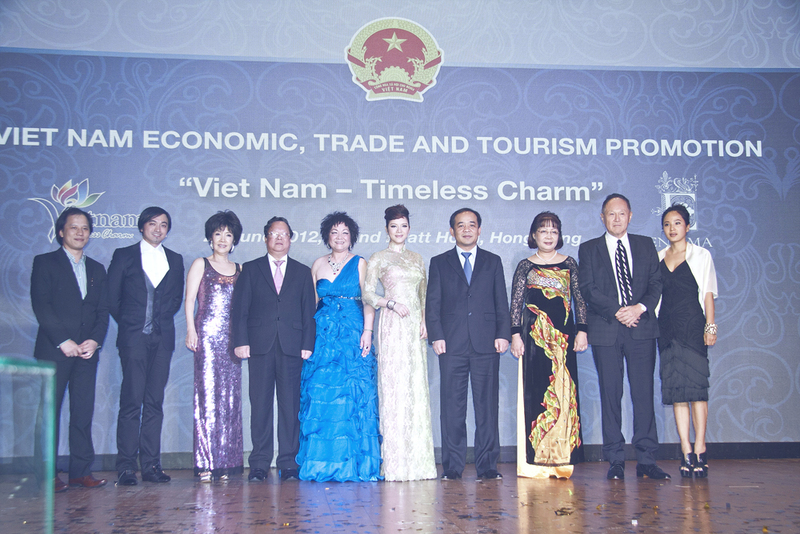 Receiving such grand support and credits from Government Leaders and the people, on 21st September 2011 Ly Nha Ky was officially assigned as being the first Ambassador of Vietnam Tourism. From 27th to 29th September 2011, Ly Nha Ky with the President of New 7 Wonders Organization, Mr. Benard Weber and the Director of New 7 Wonders Organization, Mr. Jean Paul De la Fuente paid a visit to Hanoi Culture Colleage for exchanging and calling for school leasers as well as entire students to vote for Ha Long Bay to become one of the World’s 7 New Wonders. 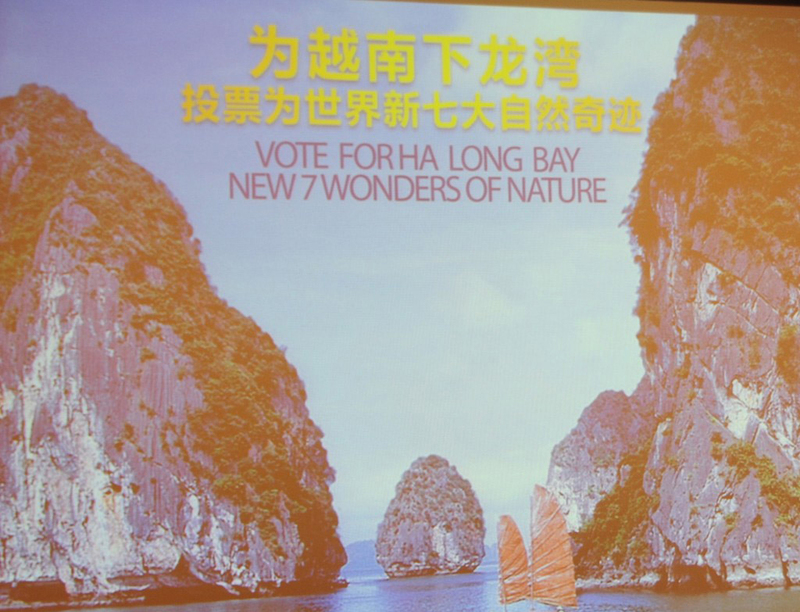 On 4th October 2011 Ly Nha Ky had a meeting with leaders of Raffles International College to call for school students and employees to send voting and supporting text messages for Ha Long Bay to become one of the World’s New 7 Wonders. 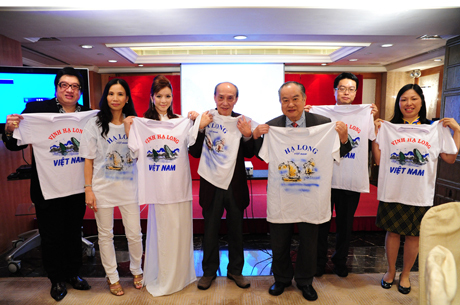 In 2 days of 6th and 7th October 2011, Ly Nha Ky paid a visit to Hanoi Tourism Press office and Hanoi Tourism College to call for entire executives, students and journalists of the Tourism Newspaper to vote for Ha Long Bay by sending text messages or via internet. 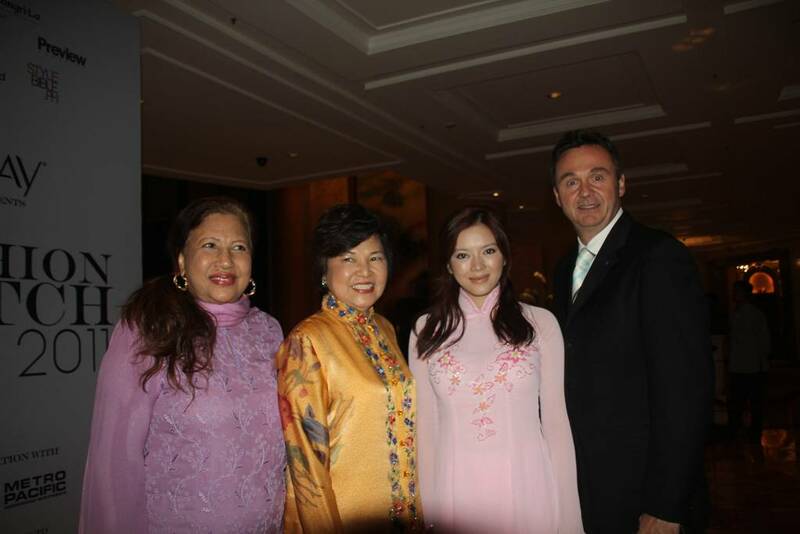 After that she paid visit to Hong Kong from 8th to 11th October 2011 to meet many entrepreneur figures in Hong Kong in fields of entertainment, tourism and also famous Hong Kong actresses and singers. She directly introduced about Vietnamese country and people, and also handed each guest brochure of images and voting direction for Ha Long Bay. On 12th October 2011 via her personal relationship, Ly Nha Ky had a meeting with her sworn brother – Sir Luis Chavit Singson –National Security Adviser as Governor of Ilocos Sur province of Philippines in order to call for people in this area vote for Ha Long Bay to become one of the World’s New 7 Wonder. On 13th October 2011 Ly Nha Ky had a working session with ABC Taxi Compay of Philippines in order to call for voting for Ha Long Bay by sticking Ha Long Bay images in each cab of this company. In the same day she also paid visit to Sir Juan Victors Tanjuatco – President of Exportbank to call for voting for Ha Long Bay as well as displaying Ha Long Bay images at banking system. 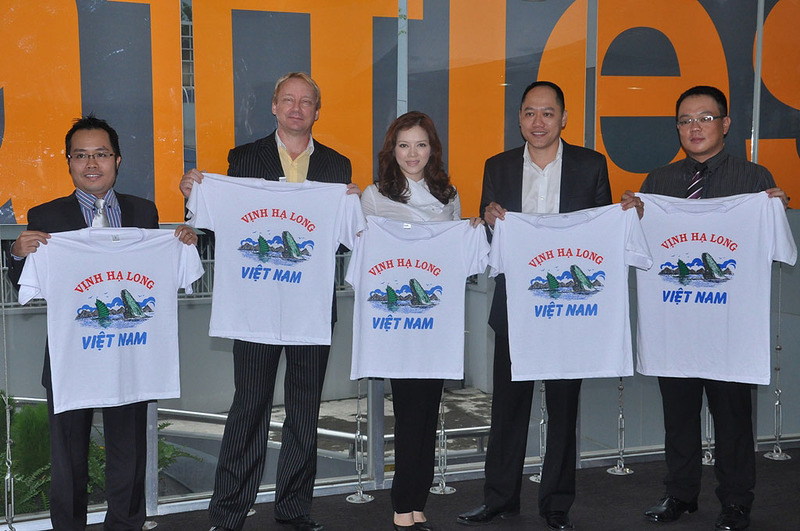 She also presented bank leaders with Ha Long Bay images and shirts printed pictures of Ha Long Bay – Vietnam. In that trip Ly Nha Ky also had a meeting with Sir Dato Seridr Ibrahim Saad – Ambassador of Malaysia at Philippines, Madame Yen Yen – Minister of Malaysia Tourism Department along with other officials of Philippines in order to introduce about country and people of Vietnam, especially called for voting for Ha Long Bay in the rushing final stage of the race to become one of the World’s New 7 Wonders. 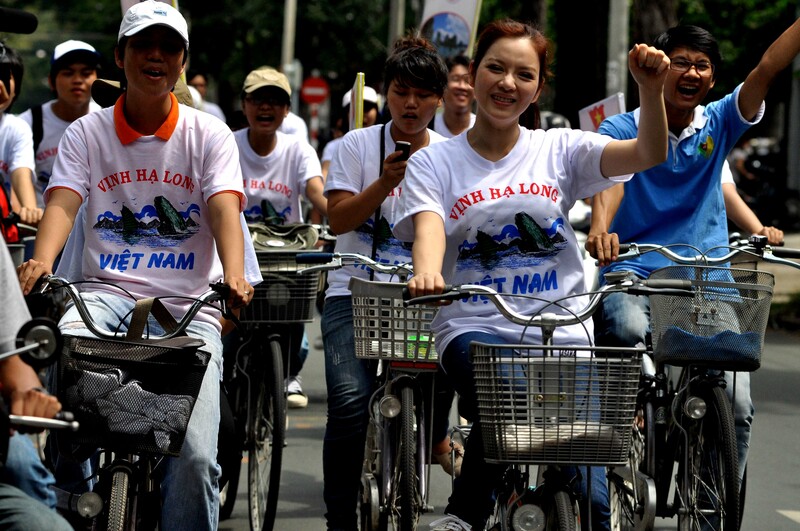 At 7:30 AM on 15th October, Ly Nha Ky was leading a large group of students and volunteers from many universities and colleges in the area of Ho Chi Minh City to join the program “Biking to vote for Ha Long Bay” at Hoa Binh primary school in District 1. Dressing simply and dynamically and being very friendly in exchanging, the Ambassador of Tourism Ly Nha Ky is the great source of supporting energy to bring zealousness to students to join in. Besides, she also hosted meetings having characterstics of national etiquettes at Tourism, Investment and Economics Forums in many countries in order to exchange culture and images of Vietnam to international friends as well as stimulating economic investment. Also in this year, Vietnam Tourism grew more than 6 times that of 2011.